Velio Giorgi, born in Bari in 1971, passionate since childhood of the human body, its operation, its motions and it’s why “, begins to penetrate within himself during adolescence with the practice of Judo beautifully taught by master Dino Bartoli. 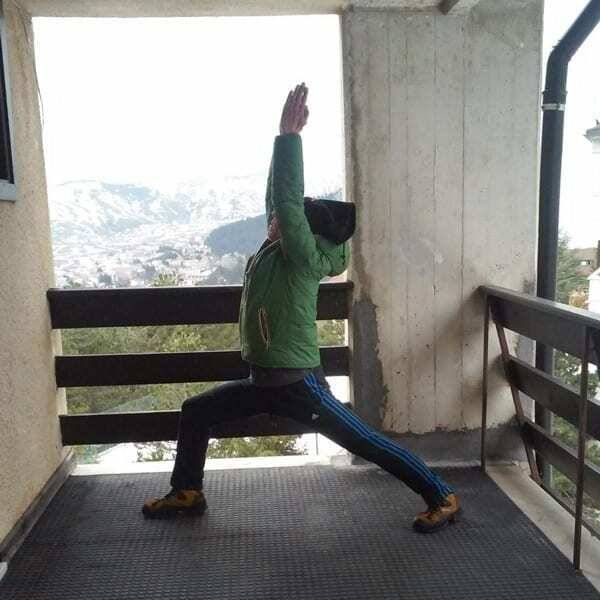 He came to Yoga in the early 90s, when on a holiday in Greece to Skiatos, he met and met his first teacher: Maurilio Spagnoletti, a practicing of Hatha Yoga, who reawakens in Velio the interest in this discipline so much that he returned to Bari starts practicing yoga with him being in the same city too. The newly planted seed begins to sprout and Velio, in these early times, begins to enjoy both the pragmatic aspect of yoga (asana, pranayama, bandha and shatkarma), and the theoretical reading his first books on the subject including Yoga Sutra by Patanjali, Hatha Yoga by Theos Bernard, Light on Yoga by BKS Iyengar etc. In ’98 their streets are divided. 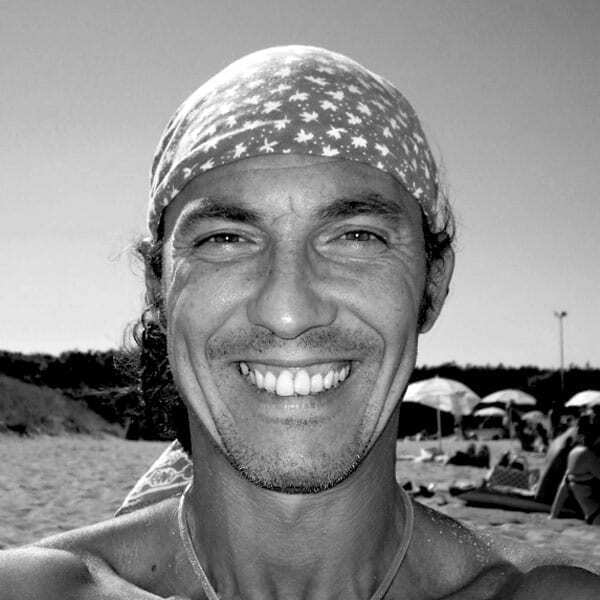 In 2000 he started practicing Iyengar Yoga studying with the Masters Mario Ceccarelli: direct student of B.K.S Iyengar and Roberta Piccoli: his pupil. The teachings of Guruji Iyengar transmitted in an incommensurable manner by Mario and Roberta, reveal themselves immediately illuminating and in tune with his thought. In this way he begins to deepen and explore in a meticulous way the asana and pranayama and realizes how this scientific and experiential approach is very effective in freeing the mind from the afflictions that create disturbance, agitation, suffering and pain, making it silent and quiet (Yoga cittavrtti nirodhah). In 2002 he took part in the first Italian convention of Iyengar yoga hosting Geeta Iyengar, daughter of the teacher and author of the book Yoga for women. In January 2005, a dream came true: he left for India to Rishikesh where he studied with Rudra Gowda. Meanwhile, for a series of meetings he learns about other methods of yoga (Sivananda, Satyananda etc., among which in particular the Asthanga yoga of Patthabi Jois thanks to the master Giuliano Vecchiè, recognizing their validity and respect but love and the attraction for Iyengar yoga is too strong in him and, in this period, Velio definitively decides to marry this didactics, devoting himself to the deepening and his exploration without any contamination. In 2009, stimulated by Roberta Piccoli, he began the teacher training conducted by Emilia Pagani and his assistant Ute Merkert. In the summer of 2012 he left for India for the second time, this time in Pune to study directly at the Ramamani Iyengar Memorial Institute with Guruji, Prashant, Geeta and their assistants. He graduated as a certified teacher of Iyengar Yoga introductory level 1 and 2 in October 2012. Velio, dynamic and solar, with passion transmit to students through his experience the essence and purity of Guruji’s teachings adapting them to the needs of each individual. His teaching is based on the consolidation of the basic yoga asana principal, relaxation and prathyahara, first techniques of pranayama) for the student to become independent so as to embark on his intimate journey with his legs.